Richter is said to be a descendent from the Bohemian area east of Klingenthal from a town called 'Haida'. 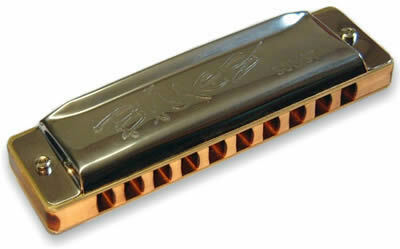 It's not really proven, however it's fact, that the 'Richter Harmonica' is only called 'Haidaer' by our employees since the beginning of the production more than one hundred years ago. Almost every great player has begun with it. With the emphasis on blow notes you start to play folk music within five minutes, if you take the draw you start to dive into the magic of Blues and Rock'n Roll, the musical style this product line is named after. A convenient leather pocket is included! 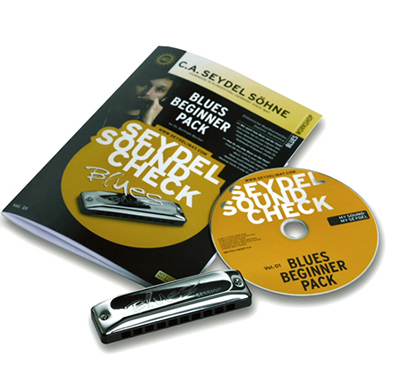 This Harp is part of our Blues Beginner Pack. This workshop delivers the core knowledge of experienced harmonica players in a condensed format, presented in an educational and fresh style. All necessary topics are covered. Play music without reading the notes. Learn also on the computer - the workshop is additionally provided through easy-to-use multimedia-software on CD. 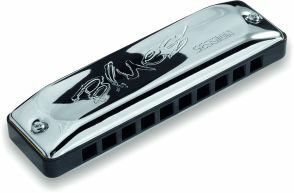 This guide will give you those tips and 'eureka' moments a beginner harmonica player would otherwise need a long time to discover.